There have been numerous aircraft busting the temporary flight restriction (TFR) in place over the fire. The TFR is in place to provide for the safety of fire-related aircraft operations. Pilots should check with the Federal Aviation Administration before flying in the area. The most up to date TFR is available at http://tfr.faa.gov/tfr2/list.html. 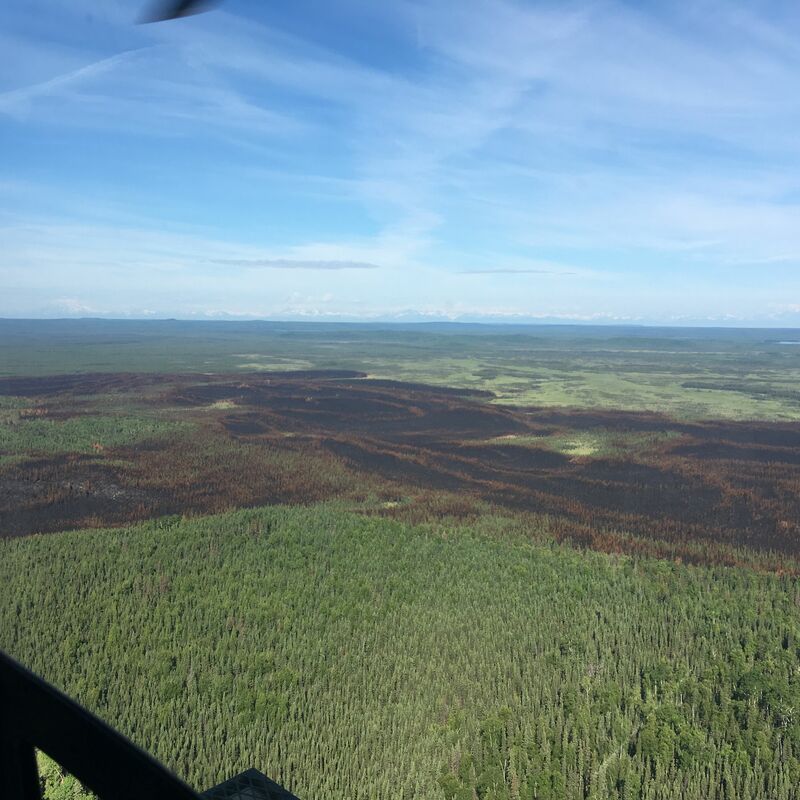 The return of warmer and drier weather has started to dry the fuels around the East Fork Fire which is burning in the Kenai National Wildlife Refuge. As of noon today, there were only a couple visible smokes within the fire perimeter, but as the day progresses there is potential to see an increase in fire activity and smoke production. The lightning-caused 1,016-acre fire that is burning in a limited protection area has not grown in the last 4 days. The demobilization process has begun and we now have 121 personnel assigned. Due to the predicted weather and possible increase in fire activity, the White Mountain type 2IA crew that was scheduled for release today is being kept for one more shift. The North Star type 2 crew and the Chena Hotshots will be released tomorrow as well. All scheduled releases are dependent on fire activity remaining moderate. Tentative transition to a type 4 organization is planned for Tuesday. The Pioneer Peak Hotshots and some overhead will remain in the field to monitor the fires perimeter and improve the fire breaks. Firehose has been laid and pumps have been placed along the hand cut fire break and the ENSTAR natural gas pipeline easement. A map has been completed with the locations of all supplies and features in place for a turnkey operation in case the fire picks back up and the proposed burnout operation is needed to protect the Sterling Highway and the community of Sterling. The public is asked to please steer clear of crews working in the area and all firefighting equipment that is in place. An open house will be held on Monday, 6/26, at the Sterling Elementary School from 5-7pm. Stop by to talk with East Fork Fire personnel as well as local officials from the Kenai National Wildlife Refuge, The Alaska Division of Forestry, The Kenai Peninsula Borough, Office of Emergency Management, Central Emergency Services and Alaska State Troopers. 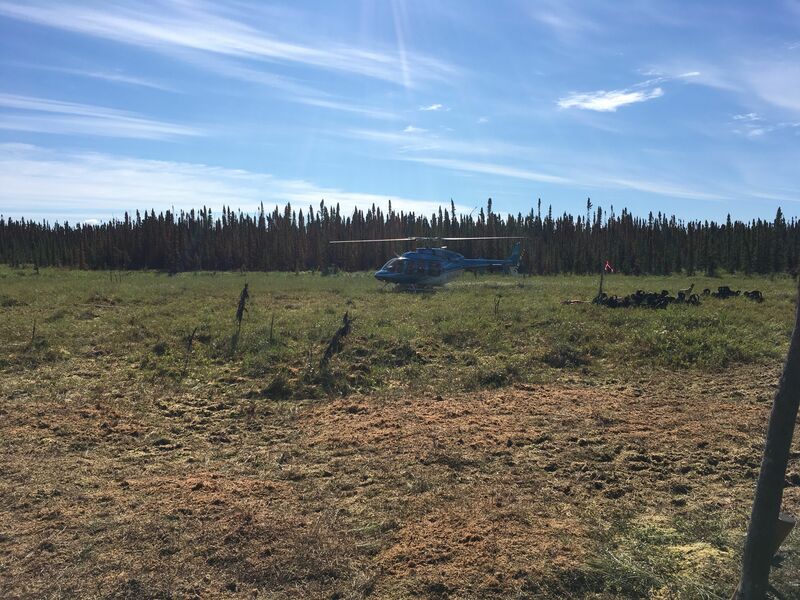 For more information, contact Alaska Division of Forestry public information officer Celeste Prescott at 907-244-9376. Information about the fire is also being posted on akfireinfo.com, KPBOEM.blogspot.com and inciweb.nwcg.gov/incident/5250/.